Gavin Extence was born in 1982 and grew up in the interestingly named village of Swineshead, Lincolnshire. From the ages of 5–11, he enjoyed a brief but illustrious career as a chess player, winning numerous national championships and travelling to Moscow and St Petersburg to pit his wits against the finest young minds in Russia. He won only one game. 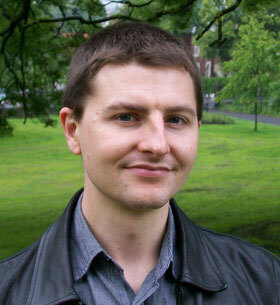 Gavin now lives in Sheffield with his wife, baby daughter and cat. When he is not writing, he enjoys cooking, amateur astronomy and going to Alton Towers. 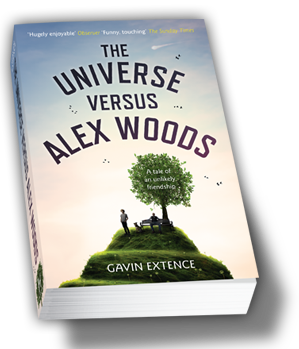 The Universe versus Alex Woods is his first novel.